Clipping Path Service Org-(CPS) is one of the best award-winning outsourcing Photoshop image processing companies. Our focus is always to provide world best services at reasonable price and make forever service relationship with the honorable clients. We believe customer satisfaction is the main key to success in this field. We never compromise with the service quality. We care every single image for providing high-quality service. For providing you world best and high-quality services at affordable cost, we have enriched our expert team by 100+ specialist graphic designers. All our designers have minimum 3 years experience. We designed our expert team members in separate sections for separate services like as clipping Path, photo background remove, image masking, color correction, dress neck joint or ghost mannequin adjustment, shadow making, Ecommerce image edit etc. We always keep our technology and technique updated. All our designers are using latest tools and software for the best result. We never apply magic instead of manual process. Our aim is to satisfy our clients. We always care every single pixel of your photo. 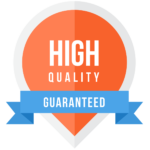 We can give you 100% satisfaction guaranty for having proper resources and techniques. We are providing non-stop 24/7 service for 365 days. CPS Org enriched their client support team by 10+ experienced and talented executive for instant service. We involved in this outsourcing sector for achieving a great vision. Basically, we are working for helping poor people, poor student, and some charitable purposes. We are spending 80% of our income for the charitable donation. Peace and Development Organization–(PDO), Bangladesh is our charitable organization. At present we are carrying almost 150 poor student study cost. We are also helping poor people for their better life. We are trying to our best to work for humanity and peace. You can involve with this great work by giving your image processing job or directly. We have 20 dedicated volunteers to manage all charitable functions. Hope we will get you beside us. If you want to know more about us, simply contact us. We will assist you instantly.